Are you using LinkedIn as part of your financial advisor marketing strategy? After all, if you’re only using LinkedIn as a passive digital resume, you’re doing it wrong. Social media is a time and cost-effective way for financial advisors to market themselves. While social networks like Twitter and Facebook definitely have their place, LinkedIn is by far the most valuable. It has the largest concentration of affluent consumers and the biggest percentage of millionaire users. According to FTI Consulting, 70% of financial advisors are using social media for marketing. Out of those advisors, 90% use LinkedIn as their main social media platform. One third of these advisors generated $1 million or more in AUM through LinkedIn. When it comes to generating new leads, LinkedIn is more powerful and more cost-effective than many other marketing techniques, including direct mail, paid advertising, seminars, etc. It expands your network. To put it simply, a bigger network will attract more people to view your profile and connect with you. The average CEO on LinkedIn has 930 connections. I currently have about 2,500 connections (feel free to connect with me, by the way) and I can attest that significant growth didn’t really kick in until I hit 1,000 connections. You can stay top of mind. When you communicate regularly and share information that your connections are likely to find valuable, you stay top of mind. This works in your favor, because even people who aren’t clients can still refer/recommend you. You will get web traffic. When you have posts/publications linking back to your site, it increases your web traffic. This isn’t rocket science, but it does lead to a steady flow of new prospects. Voila! Inbound marketing. You will build trust through Google. At some point after getting a referral from a friend or family member, people will type your name into Google. Google gives those with strong LinkedIn profiles preferential treatment in the search results. When people search you, you want to make sure they can find you, see your picture, and feel more confident in trusting you. Marketing should always be about how you can serve your prospects. People don’t care about what you do; they only care about how you can help them. The most common headline I see is “Financial Advisor at XYZ Financial”. Great! But nobody cares. This might be your title and company, but it says nothing about the people you serve, what you do, or how someone can benefit. To craft a perfect headline, you need to focus on what you do, your target market, and how you can help them. At the time of this writing, my headline is Helping Financial Advisors Get More Clients Guaranteed. What do I do? Get more clients. How does that help advisors? It makes them more money! Oh, and please don’t use symbols or emoticons. They look childish and unprofessional. LinkedIn groups are an incredible way to meet new people and/or generate leads from the comfort of your own home. It’s much easier to reach out to someone in LinkedIn groups because you will have a common bond. Join groups that relate to your personal and professional interests, like charities you support, college alumni, hobbies, and professional associations. There are more than two million groups on LinkedIn, and there are thousands added every week. Take a look at your top clients’ profiles. What groups are they members of? Join those! LinkedIn is one of the only social media platforms that lets you write and publish your own blog posts. It’s important for financial advisors to create their own content because they are subject matter experts. You can create blog posts, articles, eBooks, white papers, podcasts, and much more. Anything that provides value and is relevant to your network is a win. Content marketing gets attention, shows people how you can help, starts a conversation, and drives traffic to your website. If your target market is divorcees, you may want to publish a series of posts like 5 Financial Steps to Take After the Divorce or 7 Easily Avoidable Mistakes Divorcees Make. The goal is to stay in front of your target market and to be there when they need you. About a third of financial advisors aren’t using LinkedIn at all. Those that do use it are reluctant to go big and therefore (remember how I said I didn’t see much growth until 1,000 connections?) don’t see results. Why is there so much opposition? There’s no instant gratification. Like I said, results won’t come overnight. The rewards go to those who can put the work in and be patient. They think it takes too much time. This depends on how valuable you think your time is. While it does take a little bit of a time investment to tighten up your profile and reach out to people, you have to understand that there’s light at the end of the tunnel. Besides, you can stay top of mind by sharing stuff you already read. When you come across an interesting article, take a few minutes to post it. Clients and prospects will appreciate hearing from you. I hope you see that LinkedIn can be great for financial advisors. 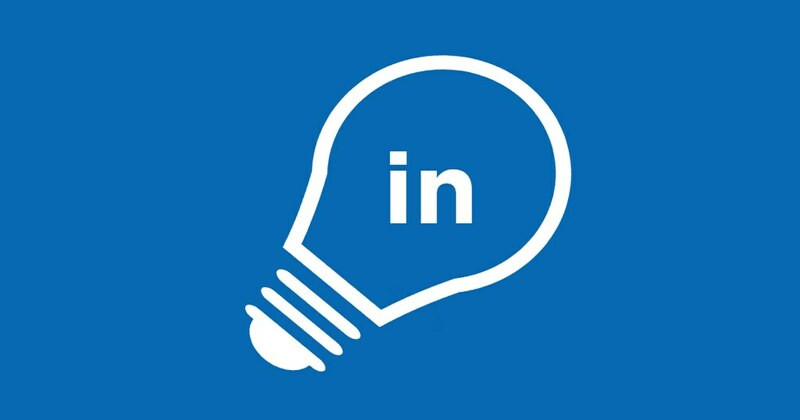 If you're a financial advisor who has any questions about LinkedIn or social media in general, feel free to contact me. I am here to help you succeed. ALSO READ: 27 Financial Advisor Marketing Ideas That Work! LinkedIn is an incredibly effective prospecting tool for financial advisors. Being the huge marketing nerd that I am, I often daydream about creating different marketing strategies. It would be accessible 24/7. It would give you important information about your leads and prospects. It would let you reach 10,000 people just as easily as 100 people. It would build authority, credibility, and trust with your prospects. LinkedIn has all those things! LinkedIn is definitely cost-effective. I personally made LinkedIn work for me with exactly zero dollars and zero cents. You can access it anytime, day or night. I know financial advisors who, when they can’t fall asleep, send follow-up messages on LinkedIn at 3 a.m. It definitely gives you important information about your leads and prospects. You can search for someone, look at their profile, and glean important information that can help you stand out from everyone else. You can reach 10,000 people just as easily as 100 people. That’s where LinkedIn dominates - it allows you to scale like no other marketing method in the world. And it most certainly builds authority, credibility, and trust with your prospects. Hungry For More LinkedIn Content? If so, you're in the right place because episode #3 of my podcast (called "Financial Advisor Marketing") is called "Mistakes Financial Advisors Make On LinkedIn" and it can help you with your LinkedIn strategy as a financial advisor. Make sure you subscribe to the podcast - simply search "Financial Advisor Marketing". New episodes go live every Monday!